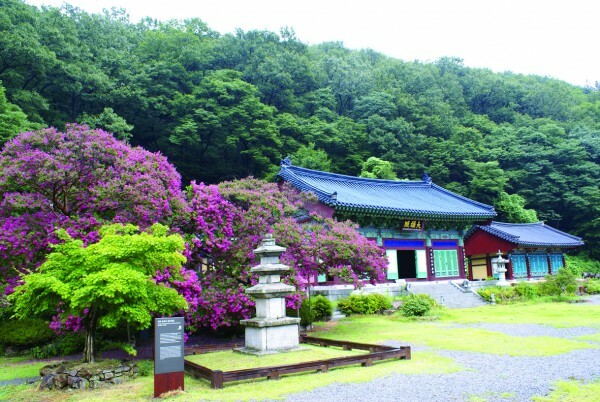 Banyasa Temple is located at the border between Chungcheongbukdo Province and Gyeongsangbukdo Province. 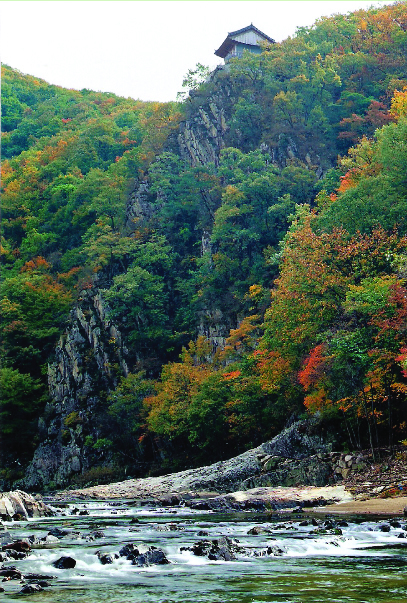 Baekhwasan Mountain is part of the Baekdudaegan Mountain Range. 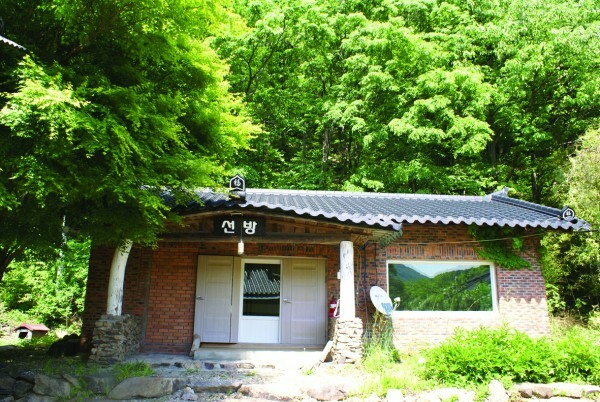 As the water from the mountain flows to Gusucheon Stream, it slips into the shape of a Taegeuk, or yin-yang, wrapping around the waist of the mountain, and looking like a lotus flower. In the heart of the flower is Banyasa. It is said that the temple was founded in the year 851 by National Preceptor Muyeom (800-888) in the 13th year of King Munsung's reign during the Silla Dynasty. 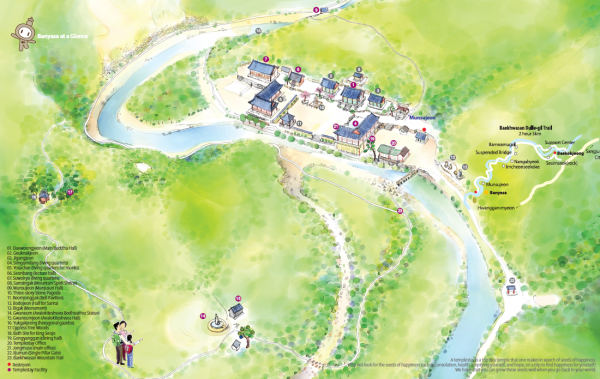 As for treasures, seekers can find the Three-Story Stone Pagoda (National Treasure No. 1371), the Triad-Buddhain Daewoongjeon, or the Main Buddha Hall, Stone Budo or Sarira Stupa, as well as rare blue roof tiles. The name ‘Banyasa’ was bestowed on the temple by King Seojo(1455–1468) of the Joseon Dynasty. The word means "the wisdom of Mansujuri Bodhisattva. "King Seojo was deeply moved by his wisdom after meeting with a young incarnation of Mansujuri Bodhisattva. This pagoda is from the Goryeo Dynasty. It became National Treasure No. 1371 on March 14, 2003. This tree is about 500 years old. According to the legend, at the time the Joseon Dynasty began, a monk-geomancer called Muhak drove a preaching-stick into the ground. It split in two, and there two trees grew out of it. It is said that because the flowers were blooming red for 100 days, it was named “Baekilhong (100 Days of Red) Tree” in Korean. This hall is located at the edge of a cliff 100 meters long. Munsujeon overlooks the landscape of the curving valley beneath Baekhwasan Mountain, a view that takes away all one's worries. 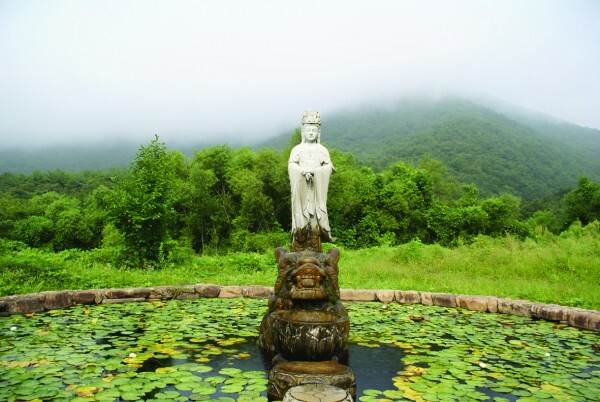 Manjusuri, the bodhisattva of wisdom, was enshrined here, and smiles down as he comforts you. As you do 108 prostrations, try to keep those blessings in your mind. As you cross the stone bridge and follow a narrow path on the left of Gwaneumjeon, there is a cypress tree wood. 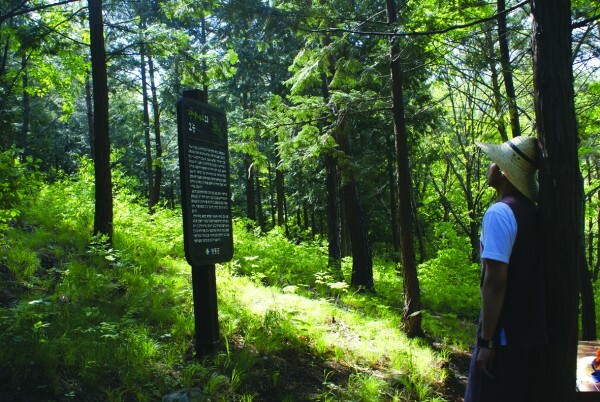 It is an ideal spot to take a book and spend some time in the forest. It is a fairly remote area, so please go with a companion. 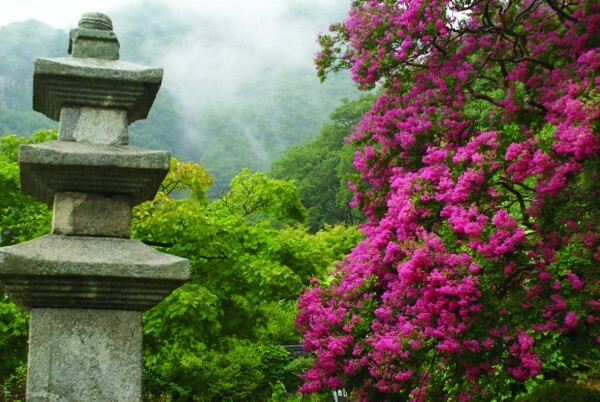 You can take in the view of all of Banyasa Temple, Gusucheon Stream, and the cypress tree wood. When you cross the stone bridge and walk along a narrow path, you will find Haesu Gwaneumjeon. Why not meditate quietly sitting around the pond by Gwaneumjeon? This is a place to meditate, sitting down quietly alone. You can drink tea, read books freely, or talk with other participants.